2. Timms, Elizabeth Jane. The Chapel Royal, St. James’s Palace. http://royalcentral.co.uk/blogs/the-chapel-royal-st-jamess-palace-102591 Posted 17 May 2018, Accessed 20 July 2018. 3. Johnson, Ben. The Spanish Armada. 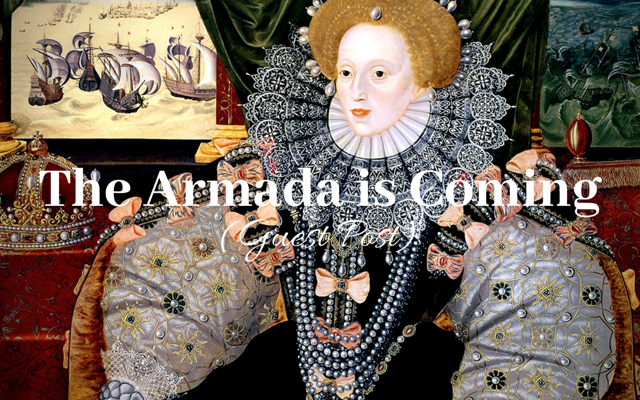 https://www.historic-uk.com/HistoryUK/HistoryofEngland/Spanish-Armada/ Accessed 19 July 2018.